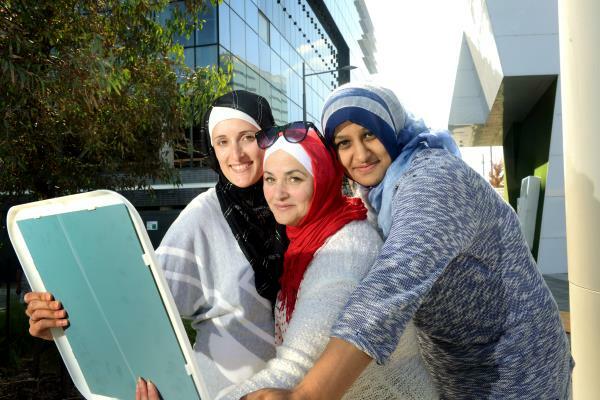 WOMEN bravely donned hijabs in Dandenong last week amid an online storm of anger and hatred around a National Youth Week activity. City of Greater Dandenong invited women to wear the Muslim head covering at a free celebration at Pop-Up Park on Friday 10 April, which also included break-dancing, soccer and basketball. But an article published on the Herald Sun’s website ahead of the event stirred up a barrage of anti-Islamic commentary criticising the move as promoting oppression and segregation. “We’re not forcing people to try a hijab,” youth and family services co-ordinator Katharina Verscharen said. 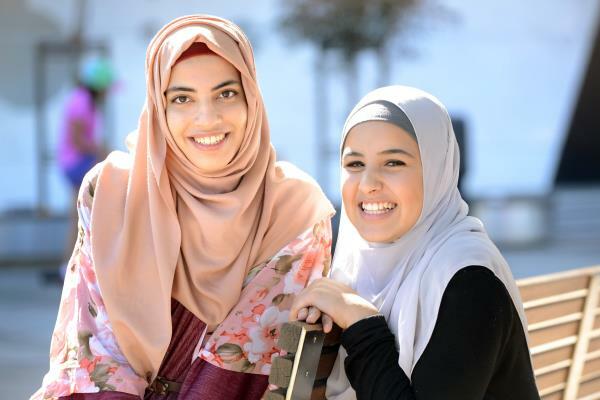 Through the council’s multimedia program, two students from Minaret Islamic College in Springvale suggested the social experiment for a youth-produced documentary. Ms Verscharen said the council supported the idea, which was aimed at providing awareness, insight and education. The students manned an information table and participants who wore the hijab returned and reported on their experience. Ms Verscharen said the teens wanted to give people from all backgrounds a chance to freely ask questions about the head covering. “They talked a lot about the importance of being able to raise awareness about the assumptions that are often made about the hijab,” she said. “It’s liberating for them. It’s about modesty for them and they love wearing their hijab. But negative comments on news websites, radio and social media marred the event. Many Twitter users asked if the council would make Muslim women venture out without their hijab. “Why don’t City of Greater Dandenong ask men to wear a yarmulke for a day? Or a turban? Perhaps a kimono,” @scottgumbleton said. Misinformation flooded social media, some people posting that the council was making all women in Dandenong wear headscarves for the day and encouraging Muslim men to abuse women in the street who were not wearing head coverings. “Not long until the Sharia police patrol Dandenong,” @BlowoutsRus said. But @LikeNarnia Tweeted that she would have taken part had she been in Dandenong. “I have often wanted to know how people wear them because often they’re lovely,” she said. Greater Dandenong Mayor Sean O’Reilly said he was disappointed that some sections of the community had taken the project out of context. He said the council did not support one religion over any other and did support young people who “wanted to build a community future that was tolerant of other beliefs”. What do you think? Email journal@starnewsgroup.com.au or comment on www.facebook.com/DandenongJournal.